Modern men’s fashion offers a wide variety. A stylish hairstyle, an original beard or mustache are available to many. 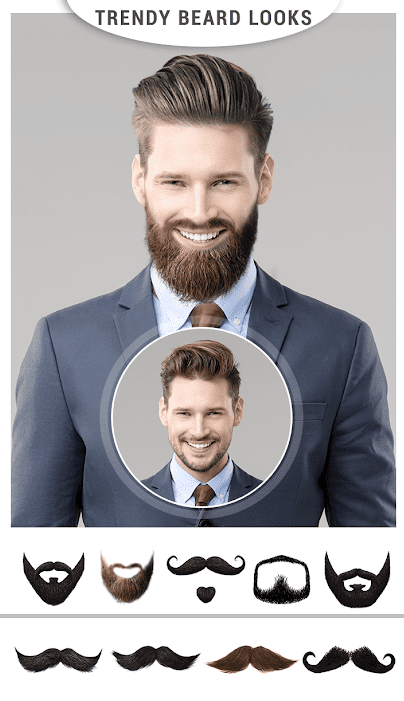 However, it’s not always possible to use the services of a professional stylist and in this case, the application Beard Booth Photo Editor will help. The idea of the developers is quite simple – they have implemented a graphic editor that allows you to impose hairstyle templates on a user’s photo. It’s enough to take a picture and load it into the application, further you can work with simple gestures. There is a huge collection of amazing beard and mustache styles. Choose long or short beard, change its color and size with finger touch. The control is implemented as simple as possible and it will be easy for the inexperienced user to work with the interface. 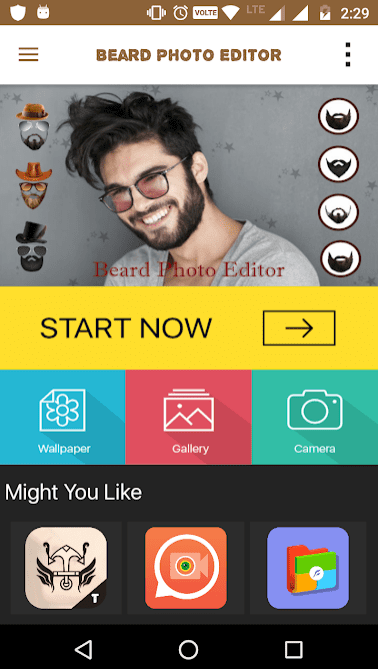 Man Photo Editor: Man Hairstyle, mustache, suit – an application for experiments with a variety of hairstyles, mustache, and beards. In the modern world, appearance plays an important role. The application allows you to see how a person with a particular hairstyle will look like. In addition to a variety of styling, there are mustaches and beards, and you can change their color, up to turquoise (although it looks strange). First you need to upload a photo – perfect full face. 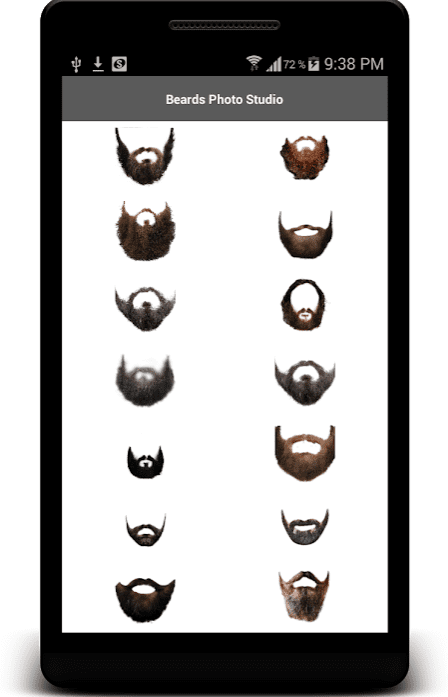 Each element, be it a beard or a hairstyle, can be scaled and stretched. The only thing that not all templates are suitable because people have a different position of lips, mouth, and nose. 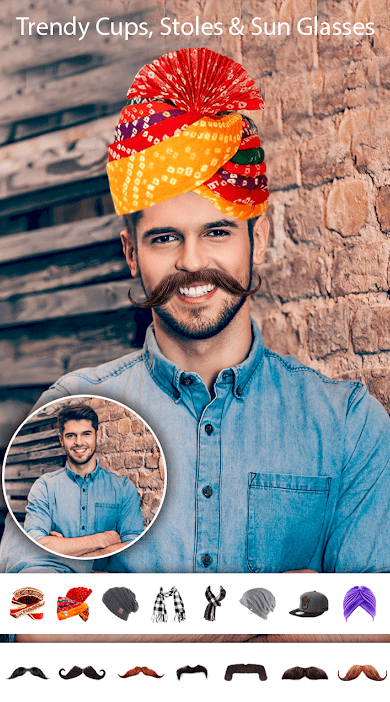 With the Man Photo Editor: Man Hairstyle, mustache, suit, users can choose a new image for themselves. After all, not only hairstyle and beard are available, but also costumes, as well as sunglasses. Of course, the finished photo can be saved to the gallery to share it with all your friends. 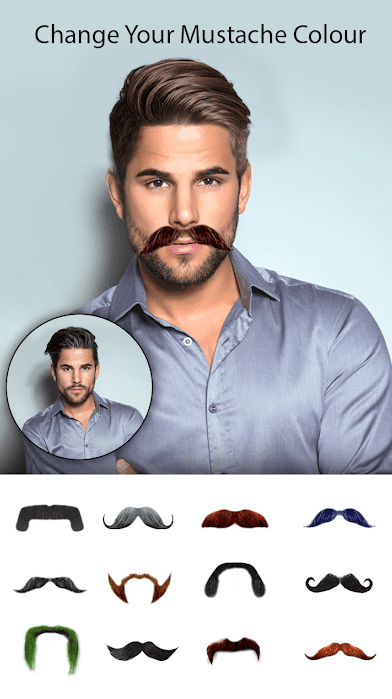 Man Hair Mustache Style PRO: Boy Photo Editor is an excellent Android project that belongs to the “Photos” category. Developers present to your attention amazing hairstyles, as well as beards and mustaches. This is a cool collection that is impressive enough to surprise you! In the presented program, change your own style at your own discretion. 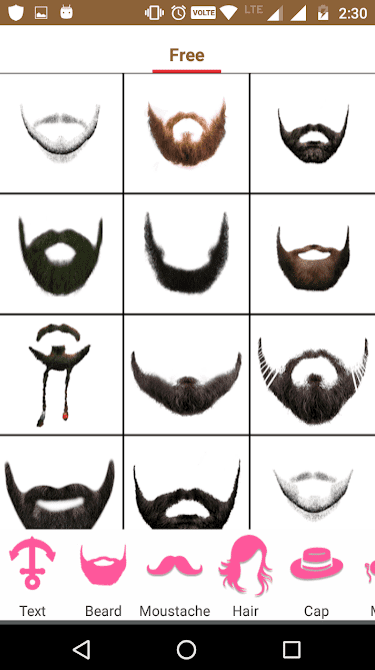 Try on different hairstyles, check whether you will look cute with a beard, mustache, etc. The range of possibilities is quite wide, so none of the users will be upset when they download. Sometimes advertising banners will pop up, but in general, using the application leaves only positive emotions. No age restrictions. Men, boys, can load their own photos. Change your style first in the program, and then transfer it to real life. Remember that everyone like stylish, confident males! Apply graphic effects, enjoy the results! Before you change the style, check whether it fits you! Believe us, this program will be useful for many guys, especially for those who want to have a mustache or a beard! This is necessary in order not to cut and then regret it. The app will help you know in advance whether a certain haircut will suit you. You can change hair color, haircut, hairstyle, add a beard, mustache, etc. There are a lot of features, the functionality is cool. The interface is quite comfortable, even beginners can easily figure it out. 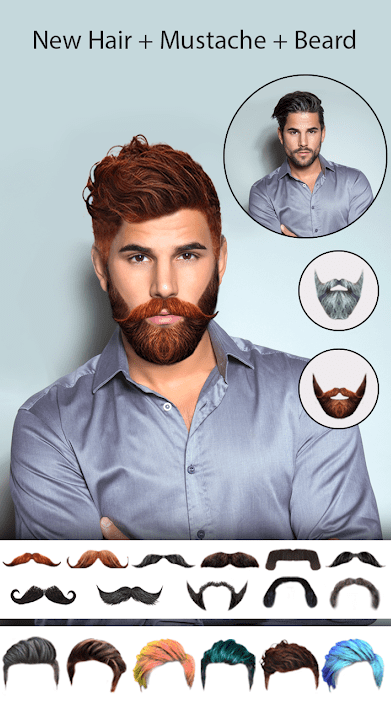 Men Mustache And Hair Styles is a graphic editor that will allow you to transform your appearance by adding mustache, hairstyle, and beard to your photo. This application will help you see yourself in a different, more brutal way, without visiting a professional hairdresser. Like any other image editor, the program allows you to change photos using built-in tools. Alas, apart from a set of cliparts, even if they are of high quality, there is no longer any settings, effect or filter in the application, which makes the project a highly specialized creation. 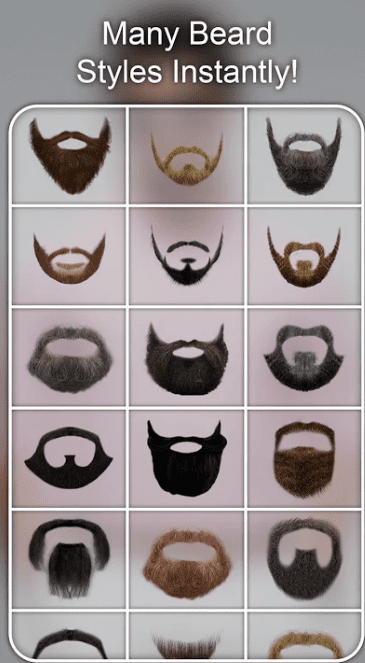 Patterns with mustache, beards, and hairstyles are divided into relevant categories, where you can choose the appropriate option. Clipart can be scaled and rotated, adjusting it to the features of the angle in the photo. Saved images, as usual, are allowed to be saved into the device’s memory or sent to other users via social networks or any instant messengers. The interface looks very modern, and the menu is convenient and informative. In addition, you even don’t need to have a network connection to work with the application. Men Mustache And Hair Styles – a good editor that can transform the appearance of the user in a matter of seconds. Do you want to experiment with different types of facial hair? Beard Photo Editor is what you need! This Android application will help you to find the style that suits you the best. 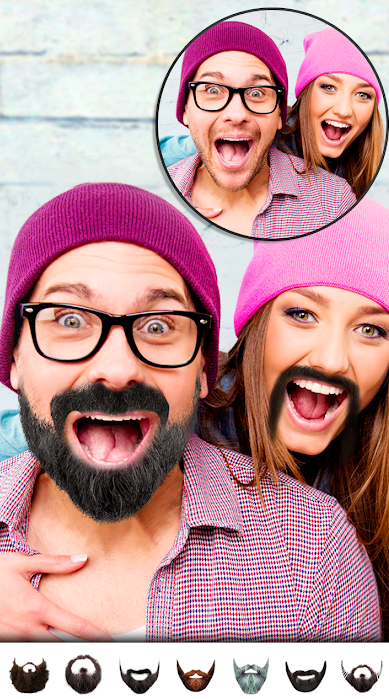 You can try on any beard and mustache with Live Camera or use your photos from the gallery. All beards look realistic. 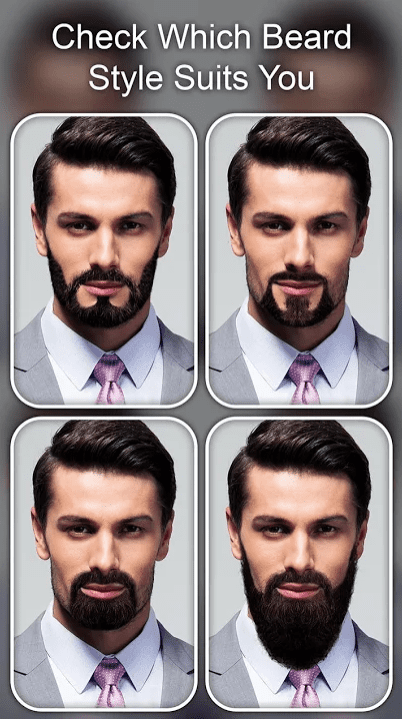 Each style will perfectly suit your face as Beard Photo Editor automatically checks your head pose. Such instruments as lightning, coloring, saturation, etc are available to blend the beard perfectly with the photos. Take selfies of yourself and try on different styles. Beard Cam Live will automatically recognize your face and warp different Mustache and Beard Styles on Live Beard Camera. If you are a man and are looking for the perfect photo editor, then the best thing for you is to download Beard Maker for Android. This funny photo editor is designed to be perfect for the male population. You will be able to give the appearance the original and at the same time funny style. 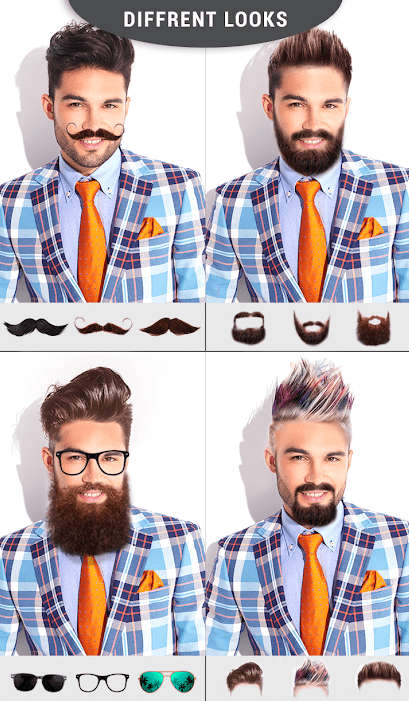 You can use a beard or a variety of hairstyles. Show the created masterpiece to your friends and have fun together. All men are very interested in the question of how I will look when my beard grows. But using this application, it will be possible to look at yourself in this style. Choose absolutely any kind of beard and use it on yourself. Surely relatives will be surprised to see you in this appearance. In addition to the beard, the user can try a new hairstyle. For this, more than 40 different models are available that can perfectly fit your head. Choose how you would like to see yourself, with long or short, curly or straight hair. Moreover, the user will be able to create and add his fashionable hairstyle into the application. There is absolutely nothing complicated. Any hairstyle can be changed by selecting any of the 30 tones and colors. 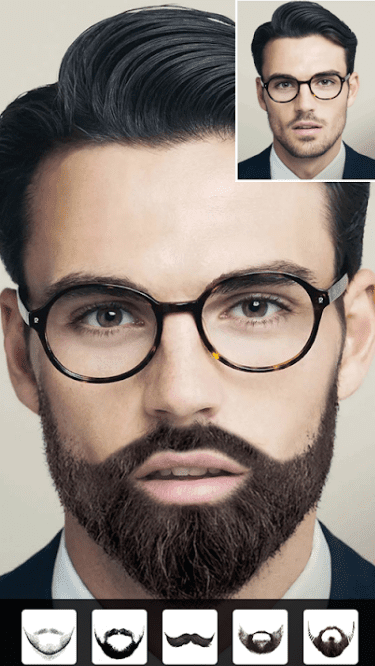 Believe that if you download Beard Maker for Android, then you will have the coolest hairdresser and designer in one person. Creating your own unique model with a mustache, beard, and hairstyle, the overall look can be complemented with any sunglasses. To do this, the application contains the most diverse collection. The user can always choose his interesting photo from the gallery or take a picture right now. 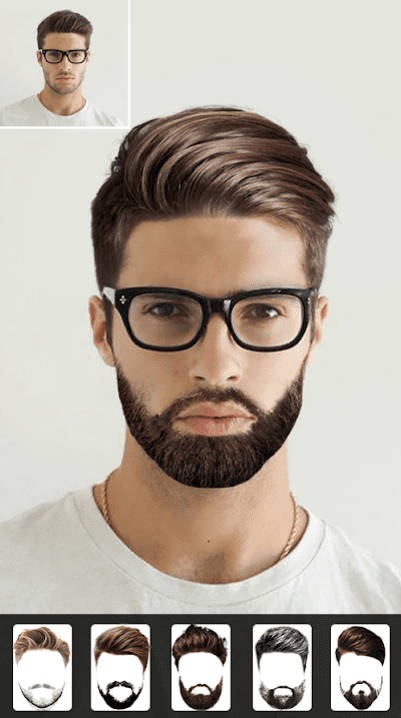 Just use a photo, pick a beard and hairstyle, and then put on your glasses and see who you look like. Show it to your loved ones to laugh.